I had such a great three month camp at Tiger Muay Thai in Phuket that I decided to do another three months. But this time, I figure I'll explore my options up North in Chiang Mai, just for a change of scenery. So why not Bangkok you might ask? I'm sure there are some good Muay Thai gyms in Bangkok such as Sasiprapa and Keatkhamtorn. However, I don't like the city itself, Bangkok is too busy, crowded, and full of scammers and harrasing tuk tuk drivers. For my well being and to focus on fight training, I need to be somewhere peaceful, such as Chiang Mai or Chalong in Phuket. Also in Chiang Mai there is Chay Yai Gym and Santai Muay Thai Gym. All the gyms seem to have set a set price of 8,000 baht a month for unlimited Muay Thai classes, however, what makes Santai stick out is that they offer free accommodation! Sure it's just a backroom with a bunch of mattresses and a shared bathroom. But living and breathing in the camp with the Thai fighters is a great experience and motivation. Plus you get a locker to store your valuables. The other cool thing about Santai Muay Thai is their meal plan. Ridiculously cheap at only 100 baht a day ( $3.33US) you get to eat with the local staff and not have to worry about ever leaving the camp. Chiang Mai itself is a lovely city with a small town feel in the north of Thailand. The only thing missing is the beaches that the Southern Islands such as Koh Tao, Lanta, and Phuket have to offer. Food is much cheaper in Chiang Mai as well as monthly accommodation. So even though the training is the same price, you'll save a bit day to day. I'm still trying to decide which route to take, but just judging from their websites alone, if I end up choosing Chiang Mai for my next 3 month fight camp, I'll start at Santai because of their onsite rooms and their cheap meal plan. Then I'd work my way over to Lanna Muay Thai and decide which gym was best. But for now, I'm still leaning on going back to Phuket and going to an MMA Camp instead of strictly Muay Thai. Plus I hear there is a brand new gym opening called Phuket Top Team that'll teach Muay Thai, Boxing, K1 rules kickboxing, Sambo, Submission Wrestling, and Brazilian Jiu-Jitsu. Best gym in Chiang mai is def KC GYM. There are rooms for rent just across the street for as little as 2500 baht a month, add 1000 for aircon room. The best guidance I ever had. Very clean plus it's NOT a tourist gym. 70 % training there are Thais. In all the other gyms you'll do, it will be the other way around. The prices are also around 8-9000 baht, but I figured with so many local talent training there, it's like you also invest a bit in them, most Thais there aren't that lucky having pockets full of bahts. When in CM and looking to sharpen your striking, this is where you wanna be. It's a bit remote but once you find it super easy and only 10 min from the center of town, 5 min from airport plaza(best shopping mall of CM with awesome food court) still with a motorbike. Hey Alain, thanks for the advice on KC. 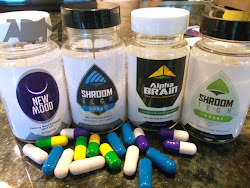 A few people have mentioned it so I've decided to give it a try! I don't care for Bangkok much either. The gyms are more expensive and in my opinion, a bit over-rated as well. All you need is a good trainer and you can find that elsewhere. I'm in Chiang Mai now and I'm training at Team Quest Thailand. Awesome gym! Just opened up a few months ago I think. I've just been doing the Muay Thai but I'll probably jump into some grappling sessions next week. Im thinking of training in Chiang Mai for Muay Thai and some MMA and was wondering which gyms are suitable for new comers. i was thinking of team quest as well, but open to suggestions. Hey has anyone trained at Santai gyym in CM ? im looking at spending some time there would like to read a review of it, i trained at tiger muay thai in phuket a few months ago and was disappointed with the instructors there. any info about the best gyms in chiang mai would be appreciated..
i sponsor a few fighters and i am thinking of sending them to thailand for authentic full on training . i am looking for a serious training camp for my future muay thai fightes . all training must be very real and precision . 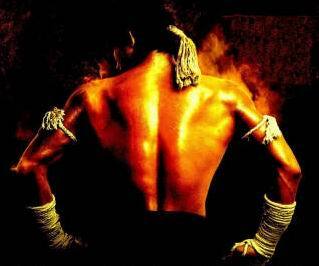 my fighters need authentic full on down town muay fight skills. the boys are young and slim about 145 pounds ..
i am looking for some totally efficient training however this must be very budget . I can definitely recommend Team Quest Thailand. It opened about a year ago and it is by far the best equipped gym in the city. Management is American/ Canadian if I got it right, but the trainers are Thai and they are amazing. One of them is a current Lumpini stadium champion. And the have mma classes too! Definitely the place to train in chiang mai if you ask me! Hey Tommy, the only MMA gym in Chiang Mai right now is Team Quest. The Tiger Muay Thai MMA area in Chiang Mai won't be finished for a few months. I wish my dad had taken me to Thailand to train when I was young, I'm sure whatever amount of time would be good, longer the better even. I don't know if the gyms would want to take care of a 12 year old living at the gym by himself, training will be fine, but as for watching over him during off hours that's something you'll have to discuss with the gym itself. Good luck in whatever you end up choosing. Thanks for your quick reply. you are so helpful man. There are two young boys 10 and 12 that live and train at KC right now but they don't speak any English and both have a lot of fight experience already. Not sure about Santai, you can always email them and ask directly. I Just ordered your book :-) i am so exited . Hey Tommy, glad you ordered the book! Where did you order it from - I didn't see an order come through today. Anyway, if you are coming for 60 days you're much better off getting a 60 day tourist visa before you come. But if you have reasons not to, don't worry, they don't check your return ticket dates in Thailand. If they do, just say you'll be leaving by bus or train. Good luck and let me know how it goes Tommy. Hey Tommy, I just saw it come through a few minutes ago! Hope you enjoy the book! 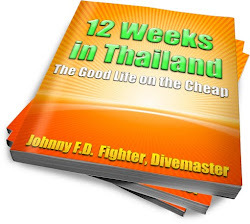 Dear Johnny, i just finished reading your book,i really enjoyed it, you did cover up everything in your book for any one planing to go to Thailand for a trip, training, scuba diving,etc. basically you answered all questions that anyone could be wondering before travelling to another country . i really loved it and i defiantly recommend it to any one who is thinking or interested in going to Thailand. Dear Johnny, sorry to bother you with too many questions. i will be coming with my family and we are planing to get visa upon arrival at the airport (30) days as we are Americans. i didn't have enough time to go to the embassy and get a visa for the 3 of us.. so is there any legal way to extend the visa 30 more days before it expire. i read that the only way will be to exit the country and re enter by air. Hey Tommy, it'll be easier and cheaper if you can get a tourist visa before coming. Depending on where you live, you can obtain it on the same day if there is a consulate or embassy near you. You can also do it by rush mail within a week or two. If you have to get the 30 days on arrival you have two options. One is to fly out of the country. Check Air Asia, Nok Air, and use Sky Scanner. Or you can do a border run by land which may be easier but you only get 14 days extension each time. You basically take a minibus from Chiang Mai to the border of Burma. It costs around 600-800 baht $26US per person round trip. But involves sitting on a bus for 8 hours total. Let me know if you have any other questions. I'm happy to help. Hey Jonny, do you still live in Chiang mai? I used to read another one of your blogs and commented on there. Would like to buy you lunch if you're still out here. If you are interested in MMA, Gym Bangarang have an excellent trainer who has come up from the 13coins gym - Brandon Kesler. They have aircon accomm on site and the owners wife cooks all the meals.